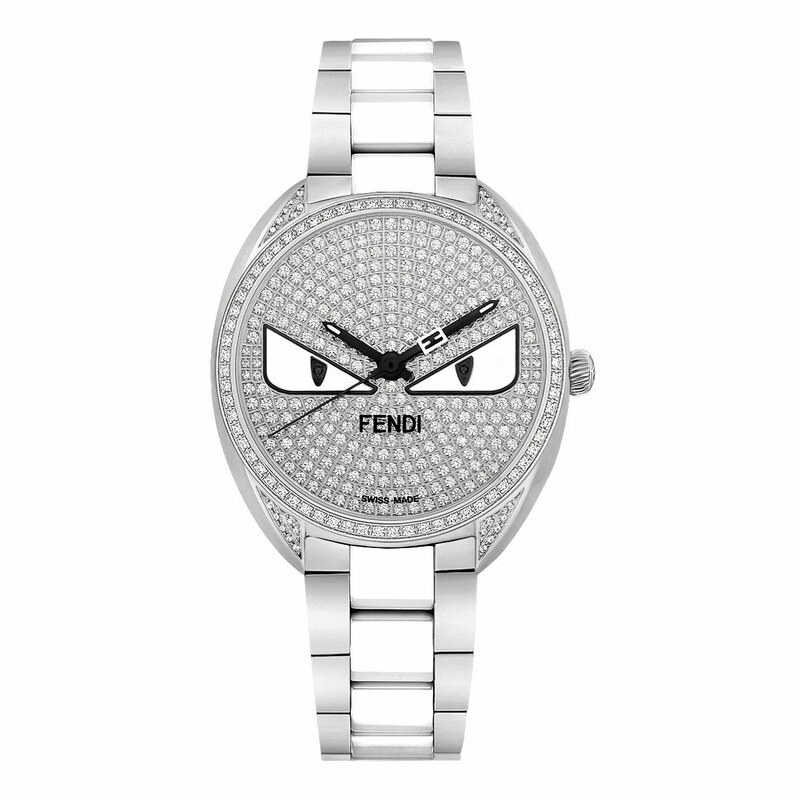 Inspired by the famous Fendi Bugs, the tiny furry creatures that invade the fashion world with their bewitching eyes, the new Momento Fendi Bugs Limited Edition appears in a feminine touch. Issued in a 50-piece limited and numbered edition, this stainless steel model is adorned with a total of 382 diamonds – of which 286 for the dial. 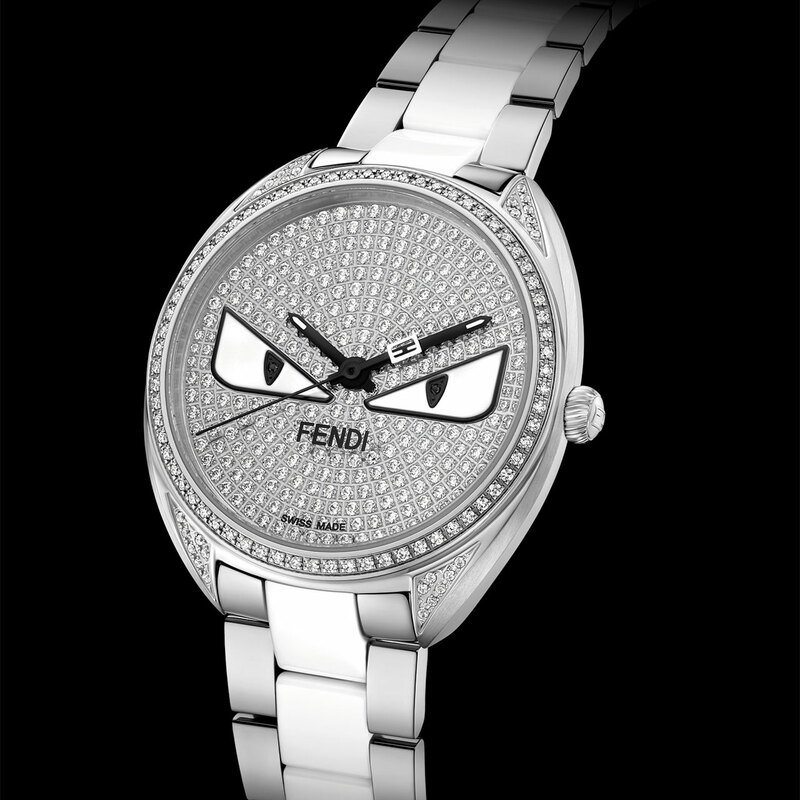 The pupils set at the centre of the Momento Fendi Bugs’ mischievous and angry-looking eyes are depicted by two black diamonds. This watch is fitted with a stainless steel bracelet accented by an extremely elegant and luminous row of white ceramic links that endow this creation with a soft feel as well as distinctive character. 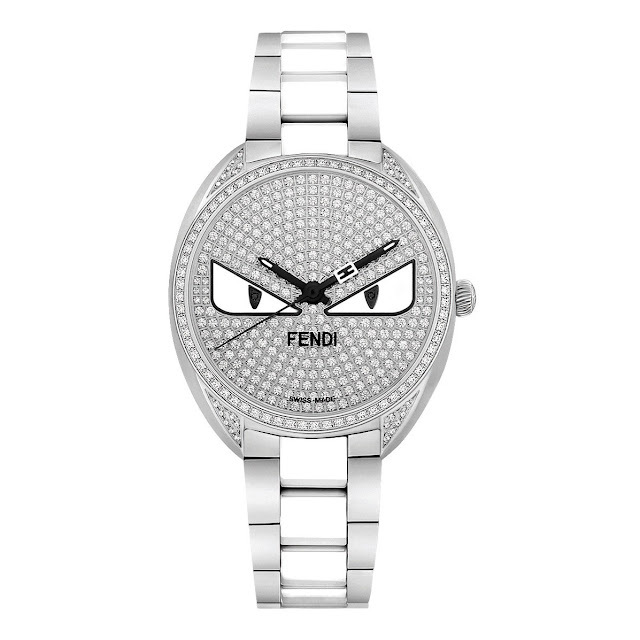 In an amusing detail, when the seconds hand crosses paths with the minutes hand, they briefly unite to form the Fendi logo. A playful and feminine high-end watch. Stainless steel, 34 mm. Bezel and lugs set with 96 diamonds (approx. 0.38 cts). Anti-reflective sapphire crystal. Water-resistant to 100 metres (10 bar/330 ft). Set with 286 diamonds (approx. 1.67 cts). Stainless steel and white ceramic, folding clasp.